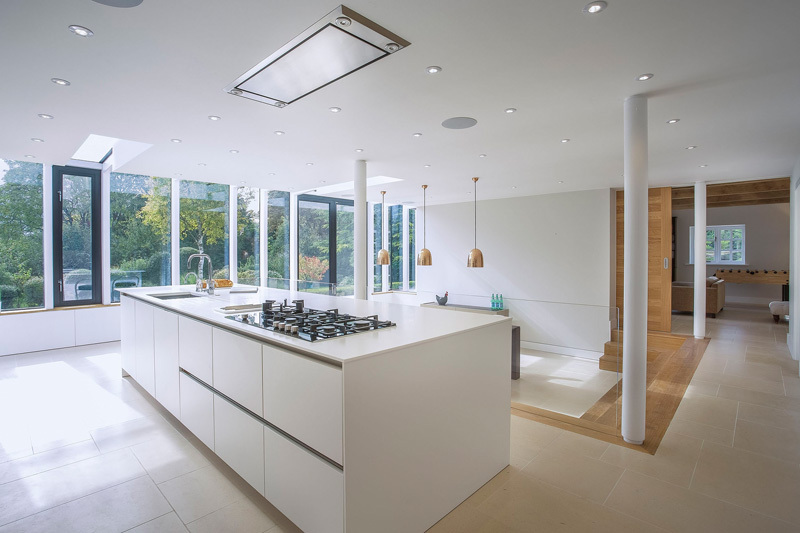 OB Architecture have designed the renovation of a 1930s house in Winchester, England, that features a contemporary white kitchen, and a sunken dining room. 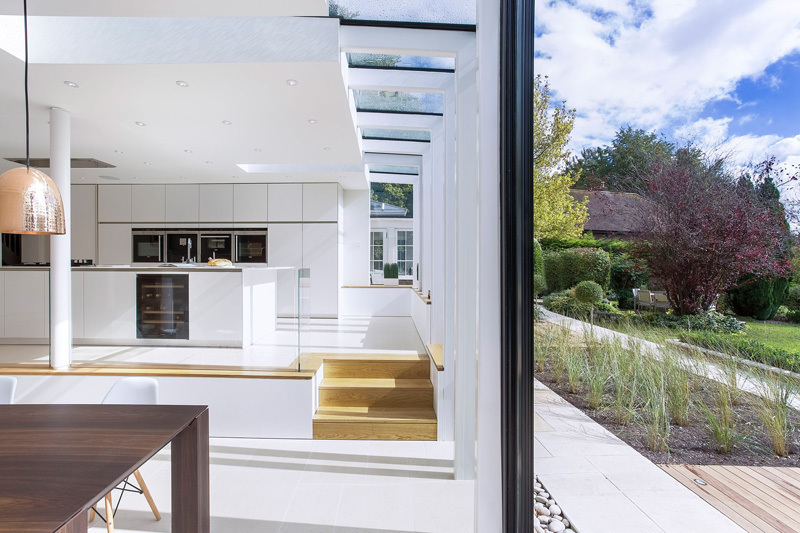 Studio OB Architecture, has renovated a 1930s house in Winchester, adding a dramatic glazed living, kitchen and dining space. 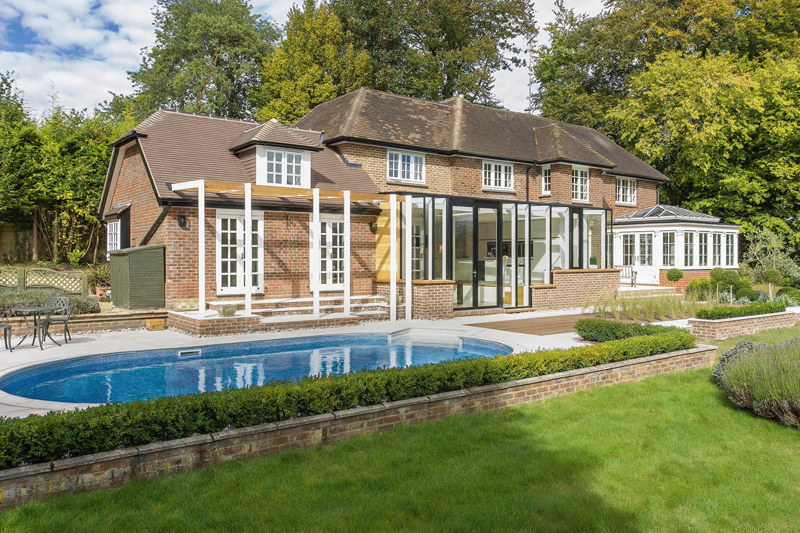 Together with its extensive rear garden it has been transformed into a modern family home. 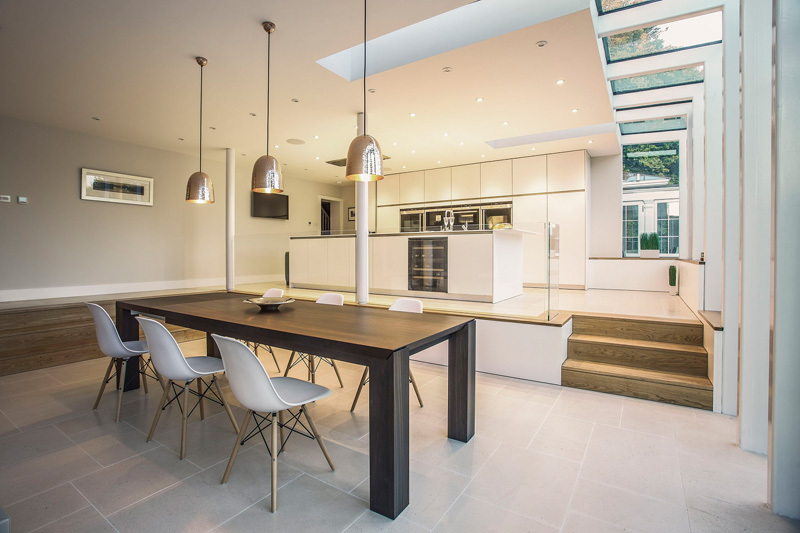 The Client’s brief was to extend and remodel the house at ground and first floor to provide a light filled kitchen dining space connected to a vibrant family room that opens out to maximize the potential of the large garden. 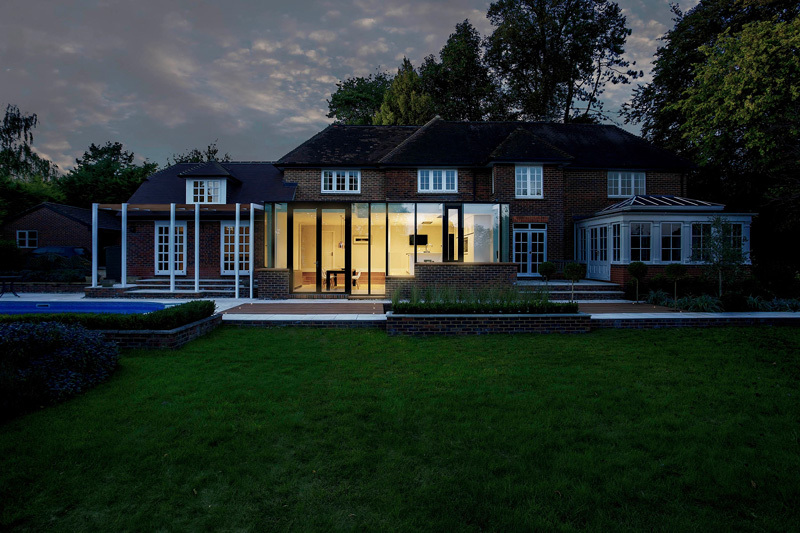 The design seeks to reconcile the individual elements of the house by creating a singular elegant form. At first floor a new bedroom with ensuite is created. 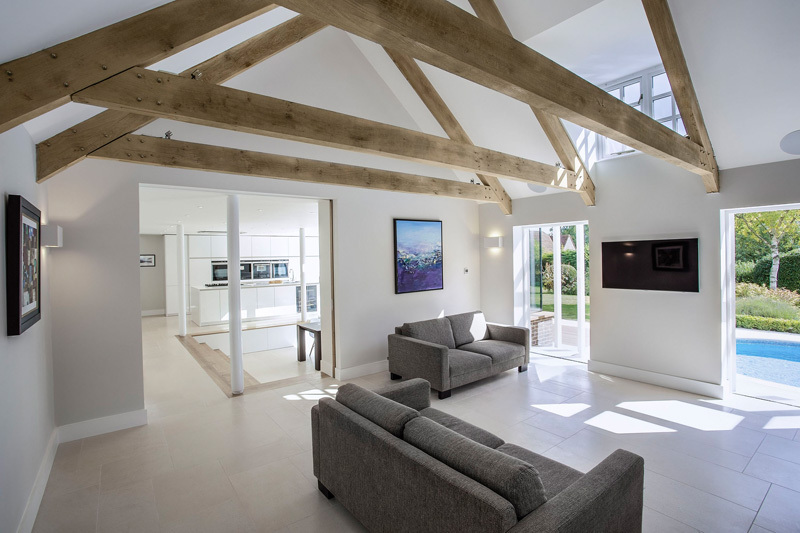 Other additions include the insertion of oak timber trusses and an oak-sliding wall, which links the kitchen dining space with a day room. 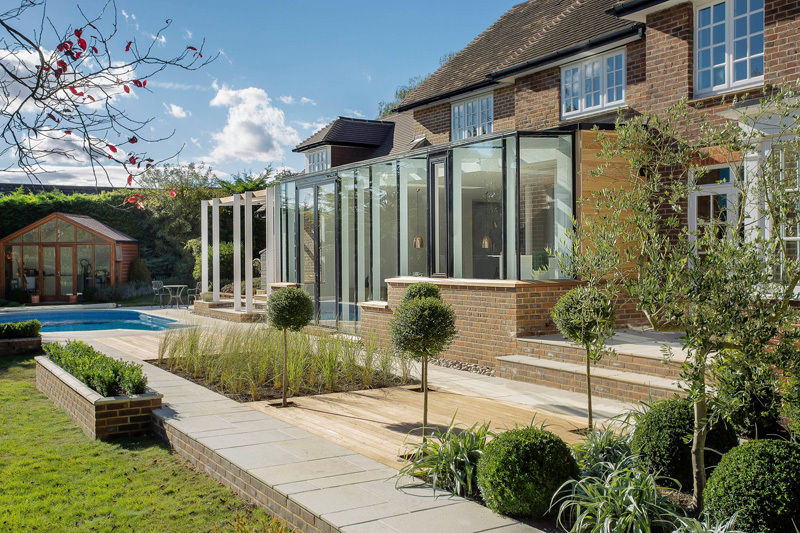 The works are complimented by a landscaped garden comprising swimming pool, pergola, timber decking and feature planting. 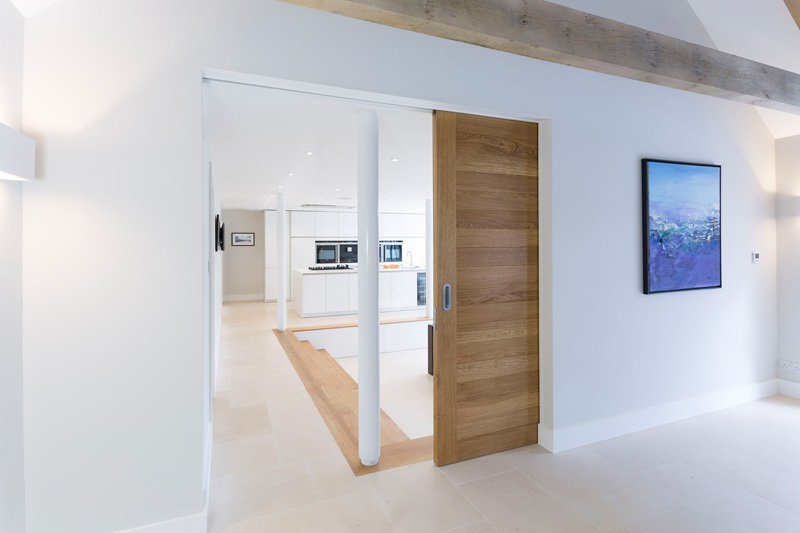 The architects specified a simple palette of materials including oak, limestone and off-white painted steelwork to give warmth and intimacy to the spaces. 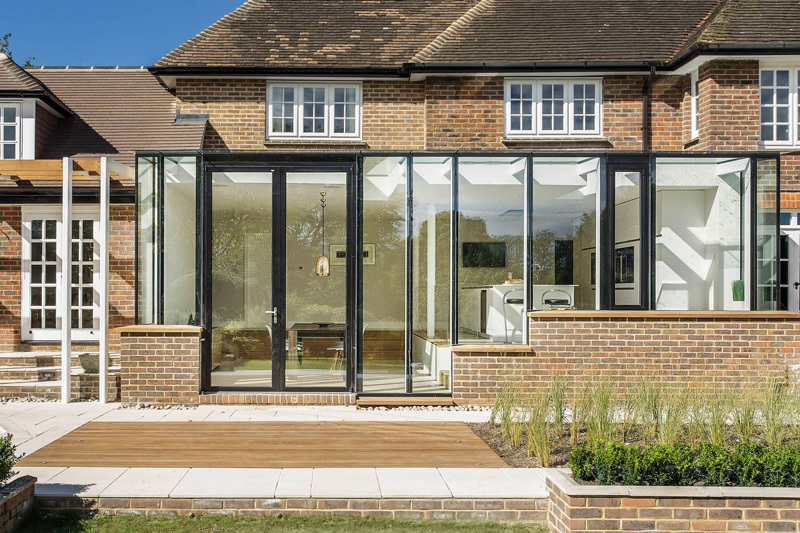 The use of stone and timber is continued externally to mediate between inside and outside.